Hoaxers are a lazy bunch. When I started looking into digital photographs of UFOs five years ago I expected to find a few really good ones, that could pass at least basic tests. I'm still looking for one. 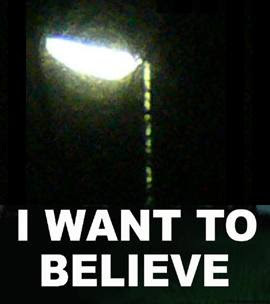 The "best" UFO photos (meaning most saucer-like) are paraded on countless websites, for the enjoyment of the gullible. They are supposedly real by virtue of not being debunked yet. Here are a few that have something in common. Last edited by nablator on Wed Feb 02, 2011 11:37 am, edited 1 time in total. The one in the center is the one from the Big Bear Mountain photo, the four others around it are resized copies of Billy Meier's work, experiments with different selection and fusion parameters in Photoshop. They don't match perfectly but a few pixel sized details match on the rim of the saucer, which is strong evidence IMHO. These hoaxes are ecological, they are recycled. Last edited by nablator on Wed Feb 02, 2011 1:54 pm, edited 1 time in total. 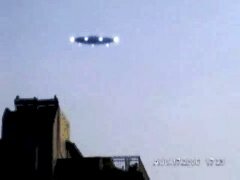 There's another type I've noticed too, and that's the type of ufo sighter who is just incredibly lucky, and keeps seeing amazing ufo's! They often recycle their existences, turning up on forums under different names while recycling the same/similar sightings for a new audience. They are also invariably equipped with the ideal camera gear for capturing every useful nuance of detail in their ufo, namely a $39 camera phone, so they are ensuring that their carbon footprint is much smaller than someone carrying, say, a DSLR. Bravo, I say! and yes chrlz, its amazing how many of these believers manage to have multiple sightings and manage to capture them on video (badly may i add). almost all of the you tube ufo posters have many (crappy) videos on their channels. This thread could become a good resource. I've moved it here to the Famous Hoaxes forum for easy reference. Cleary this isn't a new phenomenon. Perilously close to off-topic, but I thought this one was a good example of *why* hoaxes and completely ridiculous misidentifications get recycled.. But this is not a hoax. Only an extreme example of the "I want to believe" syndrome. nablator wrote: Hoaxers are a lazy bunch. Not all of them. Some are rather skilled and willing to put a lot of time and effort into their hoaxes/artwork (e.g. some of the crop circle hoaxers). The really lazy hoaxers are almost as much of an insult to harder working hoaxers as they are to ufologists. In terms of recycling of hoaxes, more basic than the examples given above are occasions where a hoaxer has ONLY changed the title and date of an existing video and then gets publicity for a "new" video. Newly uploaded videos with a very recent date can get publicity as "new" videos, even if the same video has been online for YEARS with a different title and date. Because I find such lazy hoaxing rather, well, offensive, I've spent a bit of time over the years finding and exposing such examples. I thought it worth adding a couple of examples to this thread.